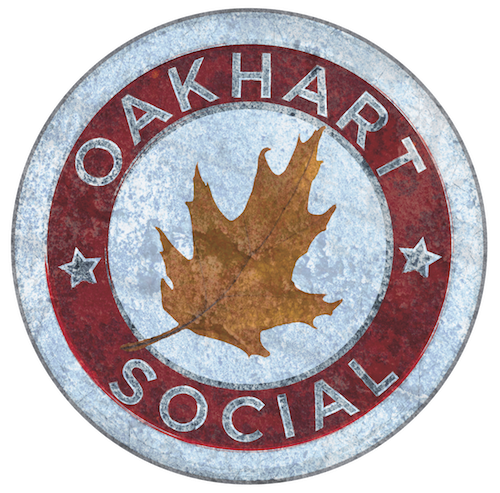 Impress your out-of-town guests from big cities with a trip to Oakhart Social. No Charlottesville restaurant better captures the ethos of the latest crop of great urban food neighborhoods, like Brooklyn’s Bushwick, Chicago’s West Loop, or D.C.’s H Street, to name a few, which are all proving that passion for food can be cool. Oakhart Social is a ton of fun, with the best aspects of the new generation of urban food neighborhoods. There’s a barren, service station feel, with exposed brick walls, painted white, and floors of reclaimed wood. There’s unpretentious service from folks who love to eat. There’s an ambitious bar with inventive drinks, barrel-aged cocktails, and the only hand-drawn ale in town. And, there is great, unfussy, well-sourced food from a talented, passionate kitchen, headed by co-owner Tristan Wraight, formerly of Chicago’s Parson’s Chicken & Fish. The wife and muse of chef Wraight is a vegetarian, which means vegetables are an inspired choice here. But, Wraight himself is a devout omnivore, so meat-lovers will be happy, too. Much of the menu is small plates intended for sharing, but there are larger dishes and even pizzas as well, with many of the best dishes coming from one of Charlottesville’s few wood-fired ovens, burning oak of course. Below are our picks, Wraight’s picks, and appearances in Five Finds on Friday, where a local chef or personality has named a dish from Oakhart Social as one of the best in town.